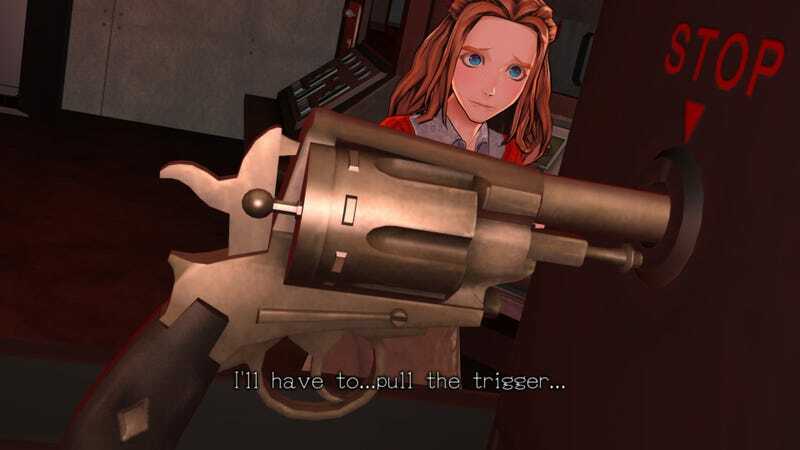 Months after the launch of Zero Time Dilemma, Amazon has finally shipped out the game’s much-delayed pre-order bonuses. Well, to some people. Others are being asked to pay a bunch of money. One got like 60 of them. The whole thing’s kind of a mess. The debacle started in June, when Zero Time Dilemma launched. Fans who had pre-ordered the ‘Limited Edition’ on Amazon were supposed to get a free plastic watch styled after the ones in the game, but publisher Aksys informed fans in the days leading up to the game’s release that there had been an issue with their supply and that the watches would be delayed. A few weeks after launch, Amazon managed to send out copies of the game sans watch, but the pre-order bonus was nowhere to be found. Cut to last week. Amazon informed fans who had pre-ordered the game that as a result of a complication in their database, customers would have to re-buy the watches. Amazon changed the watches to $500 items and gave each customer a $500 voucher to buy it. Problem was, some fans were then asked to pay taxes and shipping fees that could range up to the hundreds (for international buyers). Then, some of those who did finally get the watch said they received broken goods. Readers posting on NeoGAF and e-mailing Kotaku have provided a number of pictures of watches with broken plastic, loose straps, and missing clasps. “Aksys Games understands that some customers have faced difficulties with retailers, and we are confident that retailers will do all they can to assist customers to bring about swift resolution,” the publisher told me in an e-mail. When I pressed for more details, a representative for Aksys didn’t respond. The lesson, as always: Pre-orders are bad, yo.